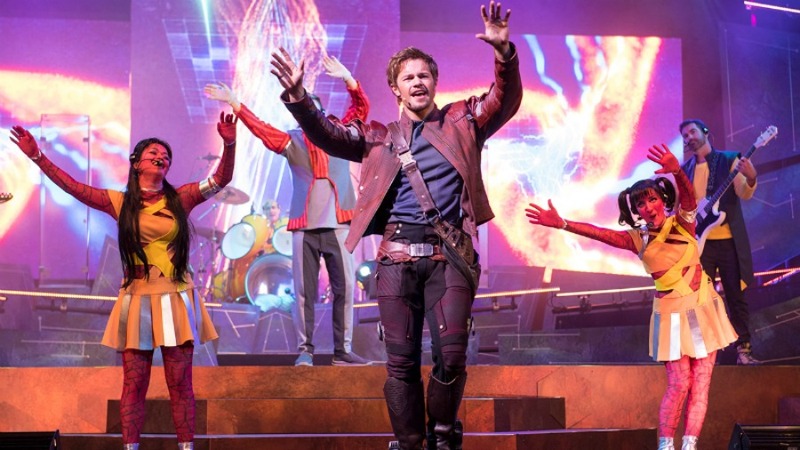 Beginning today, guests can stop into the eateries at the American Adventure pavilion where they’ll find new offerings that were inspired by the new ‘Guardians of the Galaxy: Awesome Mix Live!’ show that will also begin performances today on the stage at the America Gardens Theatre. 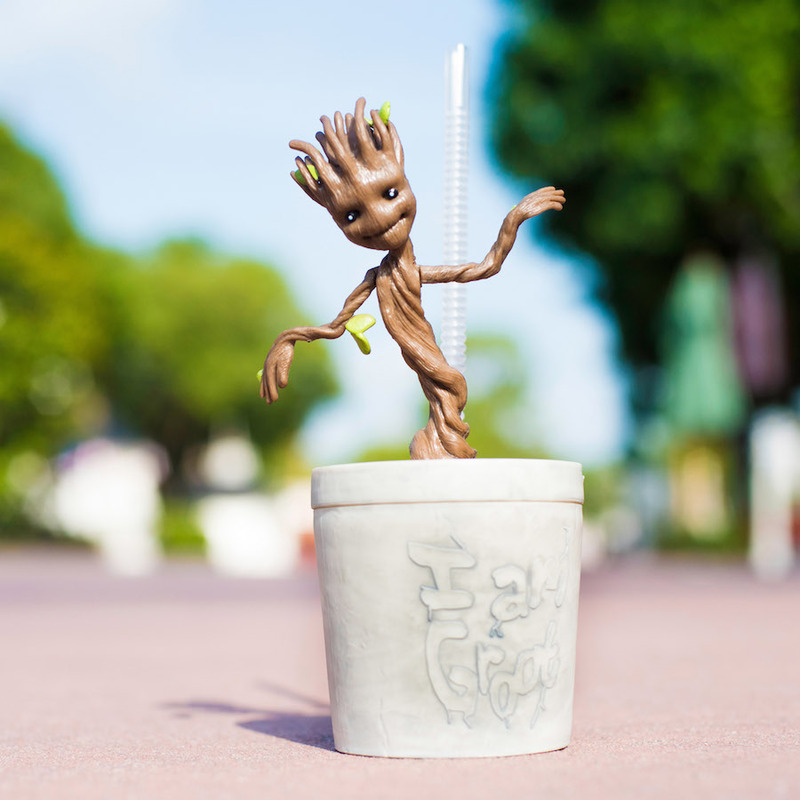 At Liberty Inn, there is a cute Groot Sipper Cup that includes your choice of a fountain or frozen beverage and a Rocket Fuel Slushy with frozen Coca-Cola and bourbon. 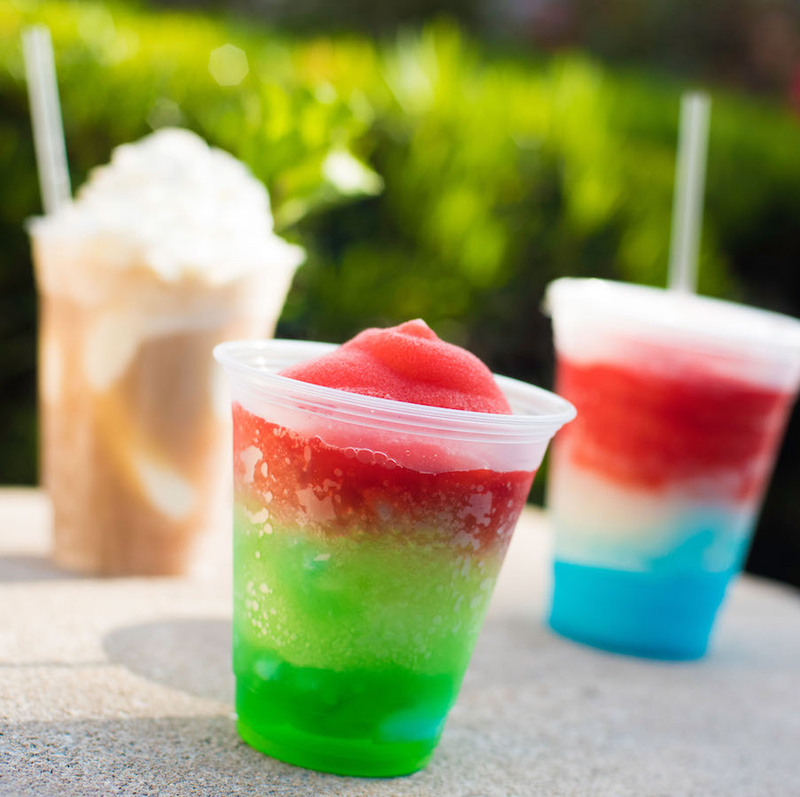 At Fife & Drum Tavern, try an “I am Float” Root Beer with vanilla ice cream, whipped cream, and mint leaves or the Awesome Mix Slushy that has layers of frozen lemonade, blue raspberry, and strawberry. 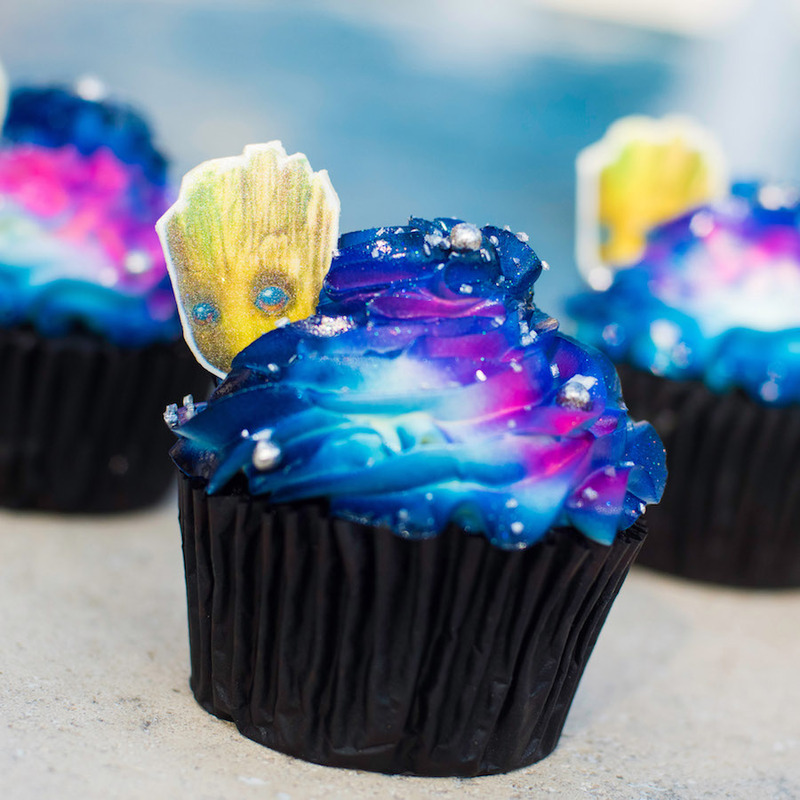 There’s also a delicious chocolate Galaxy Cupcake with buttercream featuring a white chocolate Groot peeking out from behind.